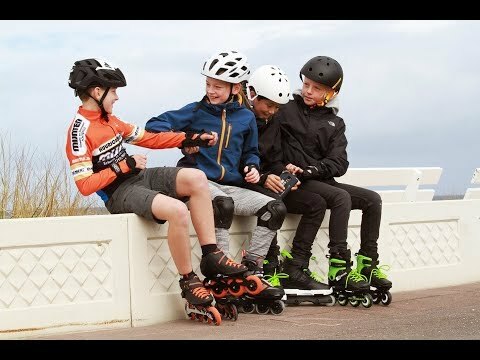 Using performance and fit expertise comes these awesome kids Rollerblade Microblade Adjustable Inline Skates. The Microblade is adjustable for up to four sizes so they will grow with your child and you will not need new skates every year and the sizes adjust with the push of a button so its very easy. 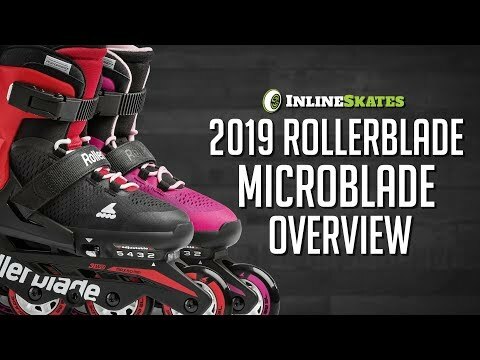 The Microblade structure gives better support and lowers the center of gravity so the skating experience is great and will improve stability, balance and control. This skate was redesigned with an engineered mesh for comfort and breathability and the dual setup of frames will allow you to swap out to a 3WD frame when your little one is ready to take their skills to the next level. The Microblade comes with the super comfortable Junior Fit liner that your kids are sure to enjoy. These skates close with a buckle, strap and laces to ensure a comfortable and secure fit so they can be put on and removed quick and easy.